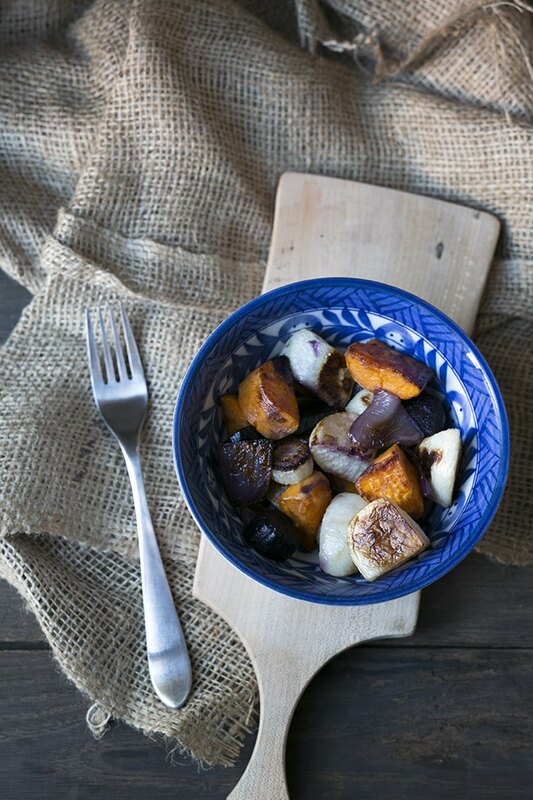 Fall and winter are the perfect seasons for enjoying root vegetables. What is a root vegetable, you might ask? Simply put, the vegetable itself grows underground as opposed to sprouting upward (like broccoli or cabbage). This means root vegetables are very hearty, and can survive harsher weather. They're ideal for eating during the colder months and there's no better way to enjoy them than roasting in a super hot oven. You can pick and choose which vegetables to roast (and how much of each kind) based on preference. 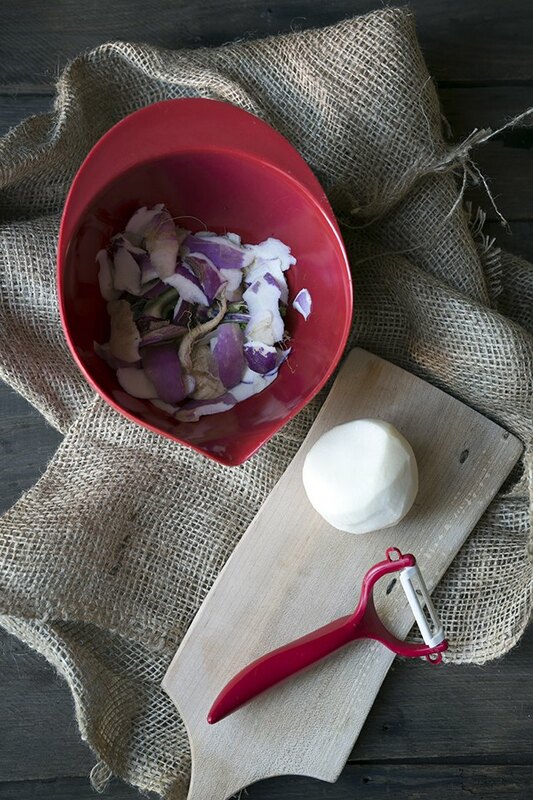 Beets, celeriac and rutabagas are also excellent options. If you don't like parsnips, feel free to omit them. Any onions will work: yellow, white, sweet, and so forth. Leeks and shallots are also a great option. If possible, roast a variety of colors for a beautiful presentation. Rainbow carrots are often available during winter months. Preheat the oven to 450 degrees F and line a large baking sheet with aluminum foil. When deciding how many vegetables to roast, aim for approximately 1 cup per person. 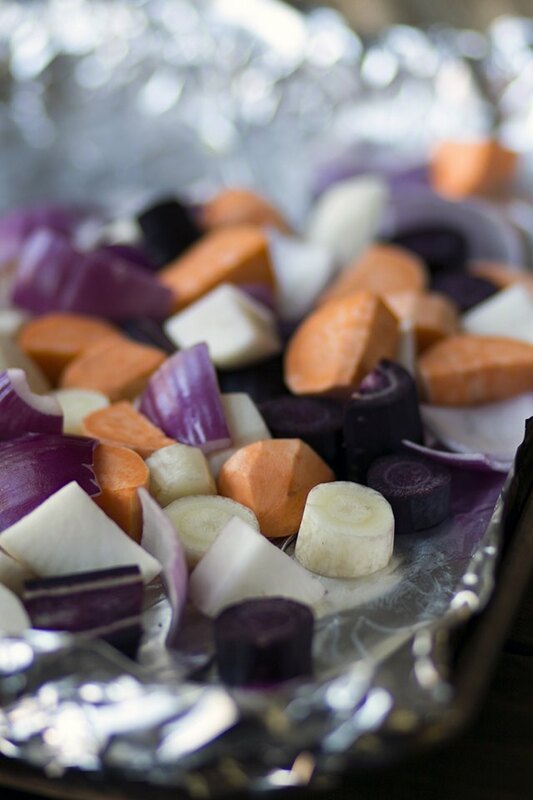 Lightly coat the vegetables before roasting them, although extra oil will not harm the dish if you choose to use more. Plan on using 1 tablespoon of olive oil for every 2 to 3 cups of vegetables. 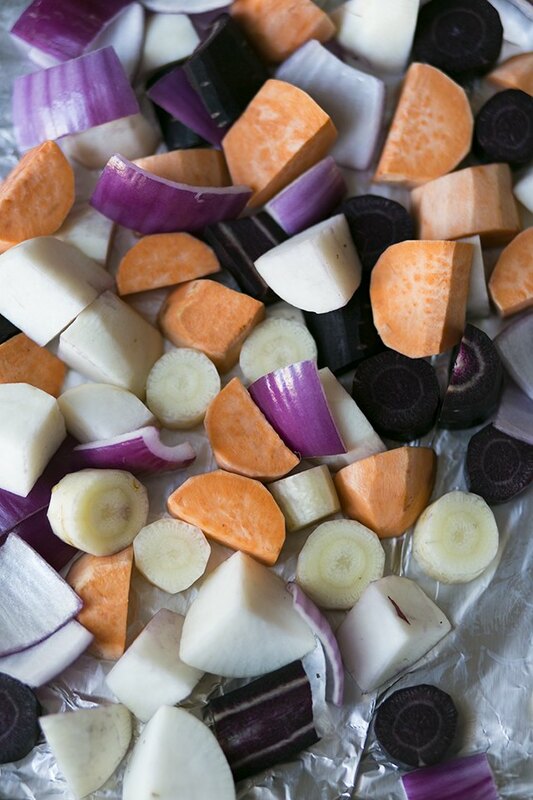 Most root vegetables have a thick skin that needs to be peeled before roasting. While in some cases the peel might be edible (for example, you can technically leave on the sweet potato skins), for the purposes of this tutorial, I'm suggesting you peel everything and discard all root ends. 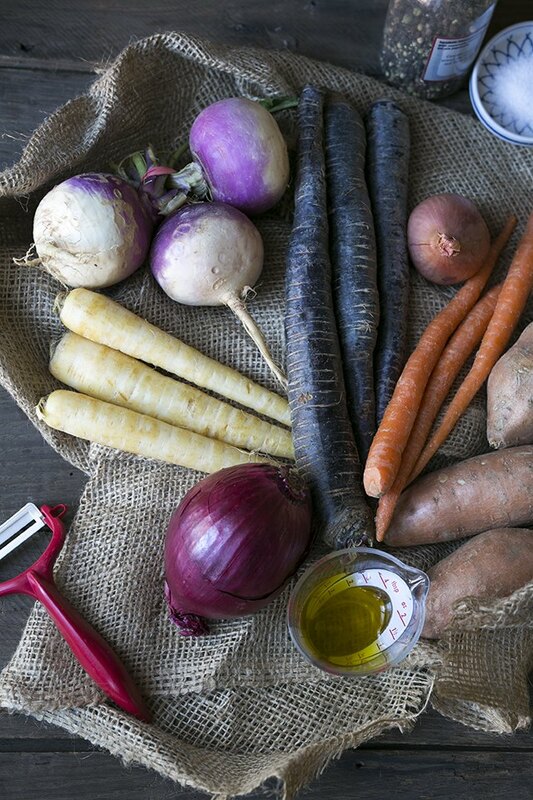 Root vegetables grow in the ground, so if they look especially dirty you might want to give them a good scrub before peeling them. Aim to cut the vegetables into similar-sized pieces. They don't have to be exact, but this will help make sure that everything roasts evenly. Otherwise, you might wind up with large pieces that are still raw in the center, and smaller pieces that are overcooked. Spread the vegetables on the prepared baking sheet and toss with olive oil, salt and pepper. Roast at 450 degrees F for 15 minutes, then open the oven and carefully stir the vegetables, gently flipping some or most of them over. Roast for an additional 8 to 12 minutes, until caramelized and crunchy on the outside, and soft and tender on the inside. 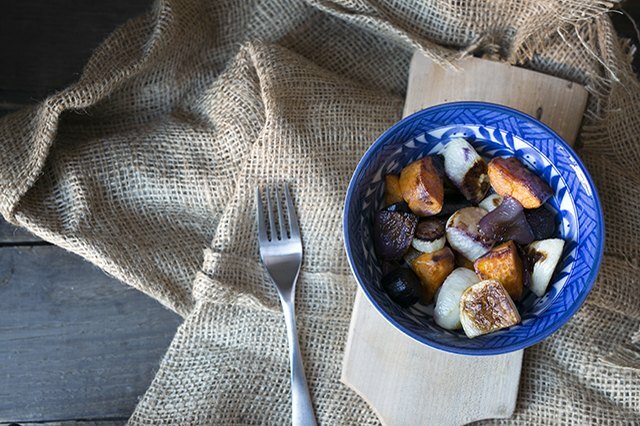 For a more "set it and forget it" method, you can roast the root vegetables at 425 degrees F for 25 to 30 minutes, stirring once halfway through. Learn tips and advice on how best to roast vegetables in this free video lesson on Italian cooking.